Mini starter- where to get and what model?? 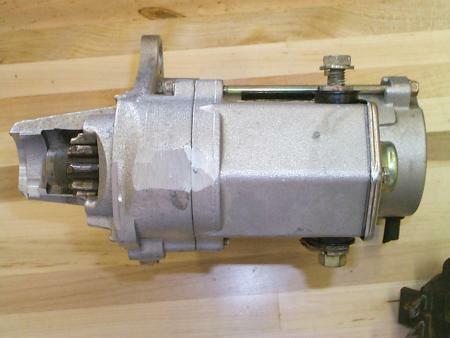 ask for a starter from a 93-95 dodge truck w/ 360. I'm thinkin theres some #'s in the tech area and the 'best of' sections. From the posts I've seen these are the ones guys have been using on the big blocks, they are supposed to be good on the small blocks also. THESE VEHICLES ARE ALL LISTED AS HAVING THE LESTER SERIES 17466 STARTERS..
ALL OF THESE ARE LISTED AS 1.4kw, 12V, CW ROTATION, OFFSET GEAR REDUCTION, 10 TEETH. One Moparts member got one from Auto-zone for a '95 Ram their # was 17181 he had to use a special 800 # to confirm it crossed to Lester 17466. I believe he said Advanced auto uses the same number. This picture is a 17084 manufacured by WAI. The 17466 basically looks the same except the case of the 17466 is notched out exposing the 10 tooth gear. The 17466 is 21mm shorter also. 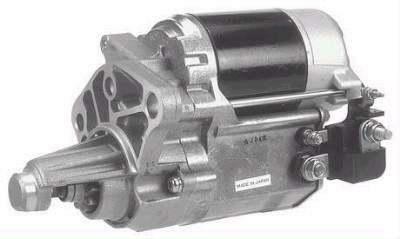 Somewhere in the 1990s, the mini starter was redesigned - the new design was lighter than the original 1988 starter. I am not sure of the exact year...maybe 1991?? There are esentially 3 sources for these starters. 1. Auto wreckers and pick your part places - your cheapest source, providing you want to take a chance on a used part. 2. Auto parts stores sell these rebuilt starters fairly inexpensively - quality tends to be mixed though, depending on the rebuilder - just ask for a starter from one of the above vehicles. Bear in mind that you may have to provide another mini starter as a core - some places watch for this if you try and bring back an old style starter. 3. Mopar Performance - sells brand new mini starters - this is essentially the exact same starter that comes in the new Dodge Trucks. I use the juck yard ones too. Never got a bad one. $25.00 no core charge. 88 up V6 pickup and 90 up V8. Carl is right, either the archives or best of (check both). I did a survey in my area this spring. 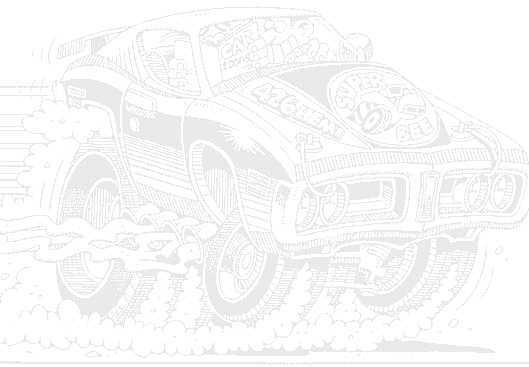 Autozone etc wanted between 80-110 plus a core charge (typically $45). I just went to the junk yard and they pulled it for $30, no core charge. These are great! '92 Dodge Truck 360 (or any engine). Aren't these V-6? Will that work in a 383? is it a bolt-on for a 440? Will it work on a 4spd too? I just checked autozone on line for 1993 D150 360 starter $102? must be doing something wrong plus $60 core charge. How about some help parts guys. bought it today, installed it. Real Nice!! 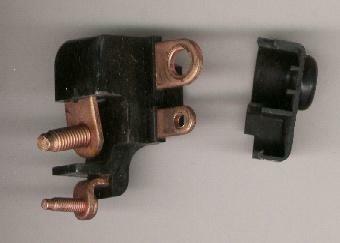 We've found that if you remove this elec fitting from the MP starter for both the BB and SB V-8 applications. (esp the BB) It fits the block and less hassles when trying to get it wired up. Here is another pic showing where I had to grind(few seconds w/grinding wheel) on the side of the starter for a little block clearance, it was touching the block which wouldn't allow it to mount flush on the trans case.